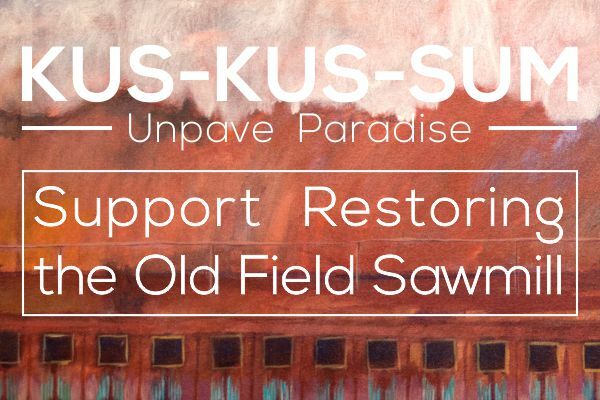 Jonathan Frazier and Kirsten Wood have committed to donating $0.50 from every sale of their signature Blue Spruce ice cream to the purchase and restoration of Kus-kus-sum. 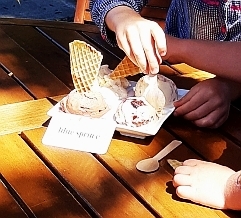 Their ice cream shop, Blue Spruce Ice Cream is the Comox Valley’s new small batch ice cream spot. They use locally-sourced, artisanal ingredients in all their traditionally made, handcrafted ice cream and non dairy desserts. 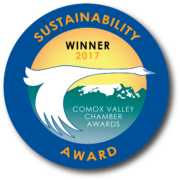 In addition to donating funds to Kus-kus-sum, they do their best to offset their environmental footprint by using 100% compostable packaging and are committed to recycling everything they cannot reuse. Blue Spruce Ice Cream is located on the corner of 5th and Cliffe – 526A Cliffe Ave.